One of the biggest problems with floral designing in water based media is the issue of control. How do you tastefully arrange your flowers so that they will look nice, and yet control the angle of placement when the water itself is sloshing around? .... Many solutions have been proposed through the years. 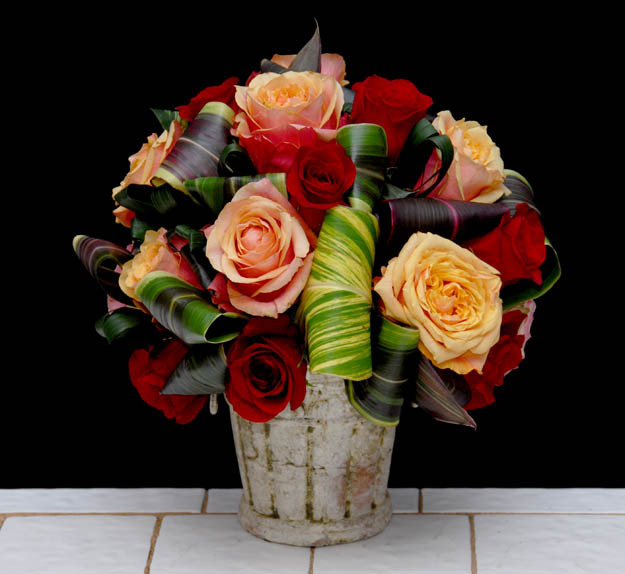 At Rittners Floral School we believe that floral designing should be quick,and easy. The folks at floralgrid have sent us some wonderful materials to play with that make floral art in water based media, quick easy and fun. We hope you enjoy this floral demonstration from Rittners Floral School in Boston, MA. and use these materials to make your own floral designing, quick, easy and fun!